An allemande (also spelled allemanda, almain, or alman) (from French “German”) is one of the most popular instrumental dance forms in Baroque music, and a standard element of a suite, generally the first or second movement. 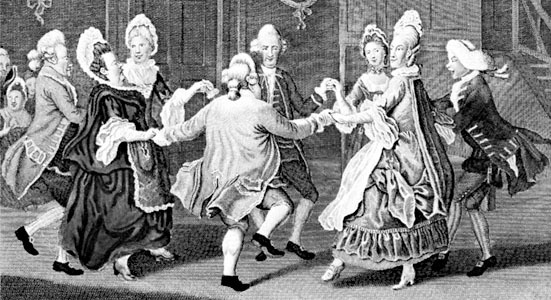 A 17th and 18th century court dance developed in France from a German folk dance: a dance step with arms interlaced. The name ‘country dance’ has nothing to do with country as opposed to town, but comes from the French ‘contre-danse’, describing the way in which the dancers start by standing up facing each other in two long rows, men on one side and girls on the other. The leading couple would then move off down the row, the other couples falling in behind them; there was no fancy footwork involved, but the dancers would weave their way in a variety of patterns across the floor, linking arms or hands with their partners s the figure required – the ‘allemande’figure involved a ‘a great deal of going hand in hand, and passing the hands over heach other’s heads in an elegant manner’. – Jane Austen, The World of Her Novels, Deirdre Le Faye, p. 104. Midi podcast of an Allemande: J.S. Bach’s Partita in A minor for solo flute. Inquiring Readers: This is the second of four posts to Pride and Prejudice Without Zombies, Austenprose’s main event for June/July – or an in-depth reading of Pride and Prejudice. 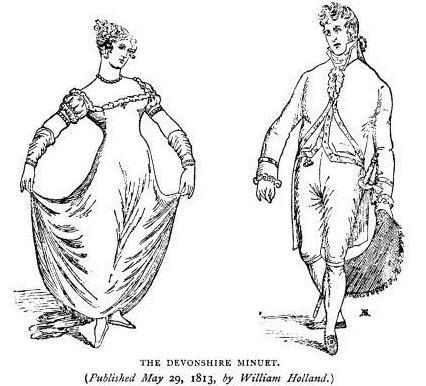 My first post discussed Dressing for the Netherfield Ball. 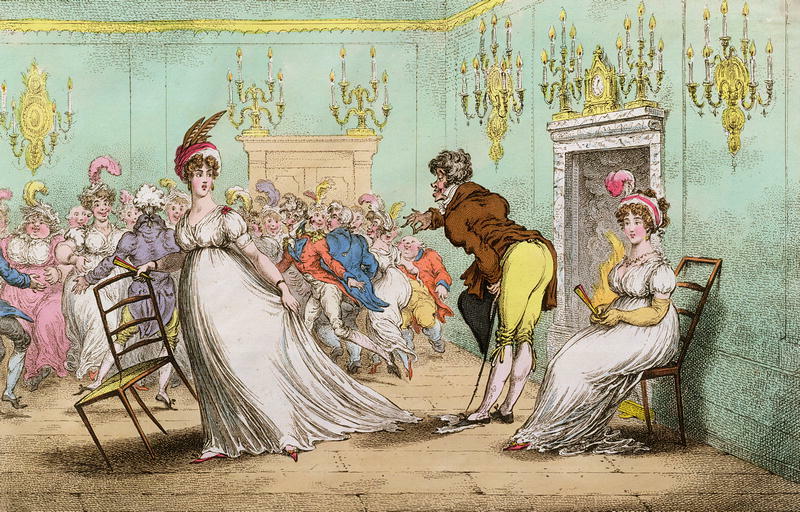 This post discusses the dances and etiquette of balls in Jane Austen’s era. Warning: the film adaptations get many dance details wrong. So, he enquired who she was, and got introduced, and asked her for the two next. Then, the two third he danced with Miss King, and the two fourth with Maria Lucas, and the two fifth with Jane again, and the two sixth with Lizzy, and the Boulanger …” Mrs Bennet about Mr. Bingley at The Netherfield Ball. The English ballroom and assembly room was the courting field upon which gentlemen and ladies on the marriage mart could finally touch one another and spend some time conversing during their long sets or ogle each other without seeming to be too forward or brash. 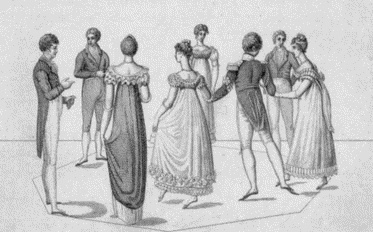 Dancing was such an important social event during the Georgian and Regency eras that girls and boys practiced complicated dance steps with dancing masters and learned to memorize the rules of ballroom etiquette. Balls were regarded as social experiences, and gentlemen were tasked to dance with as many ladies as they could. 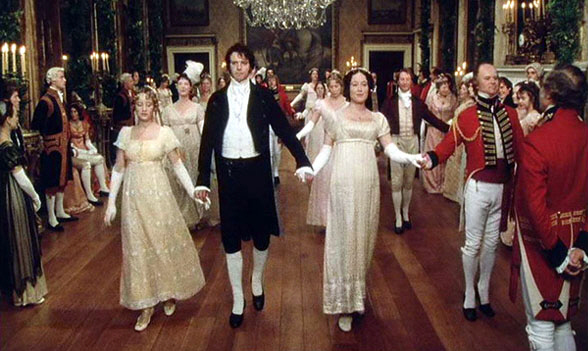 This is one reason why Mr. Darcy’s behavior was considered rude at the Meryton Ball- there were several ladies, as Elizabeth pointed out to him and Colonel Fitzwilliam at Rosings, who had to sit out the dance. 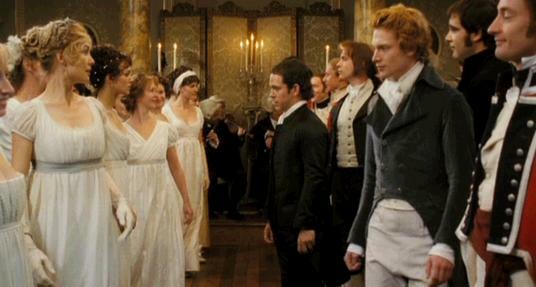 Mr. Bingley, on the other hand, danced every dance and thus behaved as a gentleman should. Ladies had to wait passively for a partner to approach them and when they were, they were then obliged to accept the invitation. One reason why Elizabeth was so vexed when Mr. Collins, who had solicited her for the first two dances at the Netherfield Ball, was that she’d intended to reserve them for Mr. Wickham. Had she refused Mr. Collins, she would have been considered not only rude, but she would have forced to sit out the dances for the rest of the evening. The only acceptable excuse in refusing a dance was when a lady had already promised the next set to another, or if she had grown tired and was sitting out the dance. Elizabeth could offer neither excuses at the start of the ball, and thus was forced to partner with Mr. Collins. It was also extremely important for a gentleman to dance well, for such a talent reflected upon his character and abilities. Lizzie’s dances with Mr. Collins were causes of mortification and distress. Because a ball was considered a social experience, a couple could (at the most) dance only two sets (each set consisted of two dances), which generally lasted from 20-30 minutes per dance. Thus, a couple in love had an opportunity of spending as much as an hour together for each set. 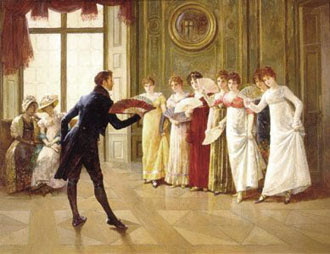 A gentleman, whether single or married, was expected to approach the ladies who wished to dance. 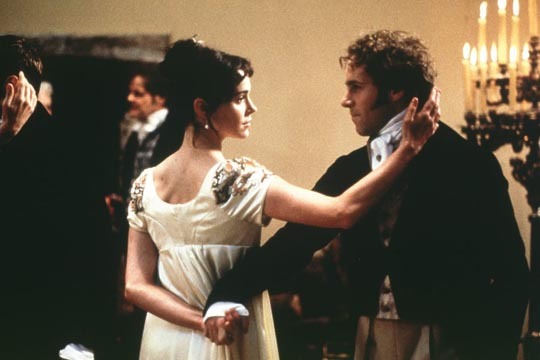 Given the etiquette of the day, Mr. Elton’s refusal to dance with poor Harriet at the Crown Ball in Emma was rude in the extreme, but Mr. Knightley performed his gentlemanly duty by asking that young lady to dance (and winning her heart in the process). 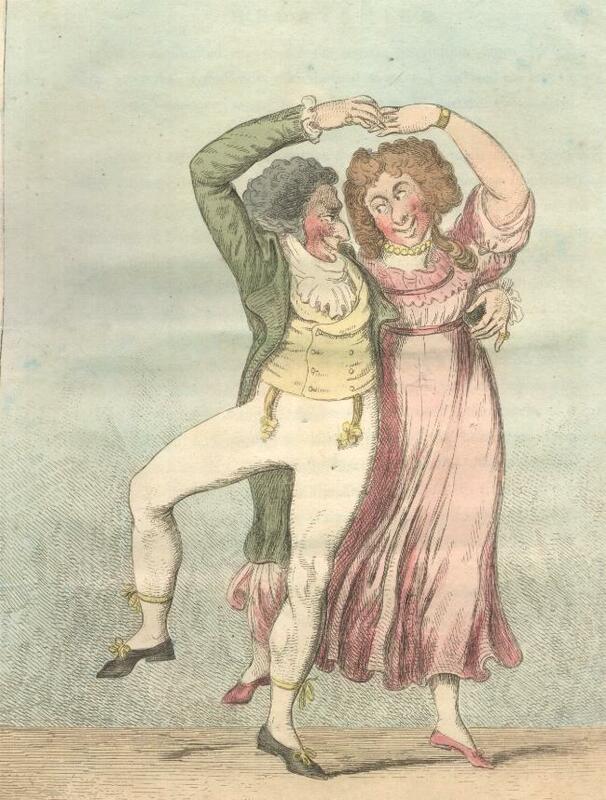 Regency dances were extremely lively. The dancers were young, generally from 18-30 years of age, and they did NOT slide or glide sedately, as some recent film adaptations seem to suggest. They performed agile dance steps and exerted themselves in vigorous movements which included hopping, jumping, skipping, and clapping hands. 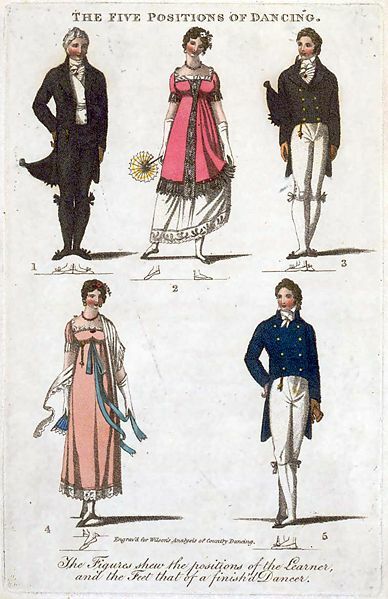 Depending on the dance formation and steps, a gentleman was allowed to touch a lady and hold her hand (and vice versa, as shown in the example of Mansfield Park 1999 above and in the image below). Country dances consisted of long lines of dances in which the couples performed figures as they progressed down the line. This could lead to very long dances indeed (half an hour to an hour) if there were many couples in a set” – What Did Jane Austen Dance? 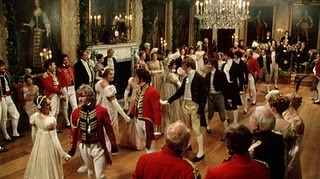 The cotillion was based on the 18th-century French contradanse and was popular through the first two decades of the 19th century. It was performed in a square formation by eight dancers, who performed the figure of the dance alternately with ten changes. This dance had grown almost out of fashion by the time A Lady of Distinction wrote The Mirror of Graces, and it is conjectured that Jane Austen must have danced it in her lifetime. Note: the Quadrille and the waltz would not have been danced at the Netherfield Ball. 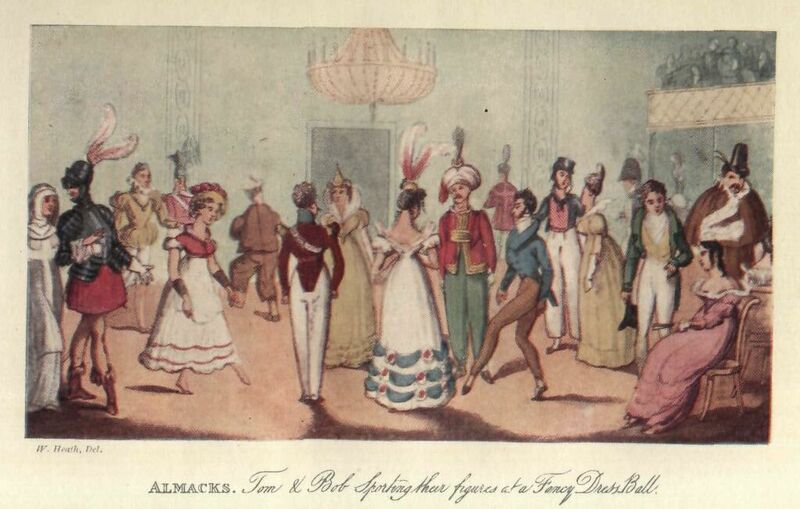 Jane did mention the quadrille in a letter to Fanny Knight, which was dated 1816. And the waltz would not have been regarded an acceptable dance in 1813. It is doubted that Jane ever waltzed. 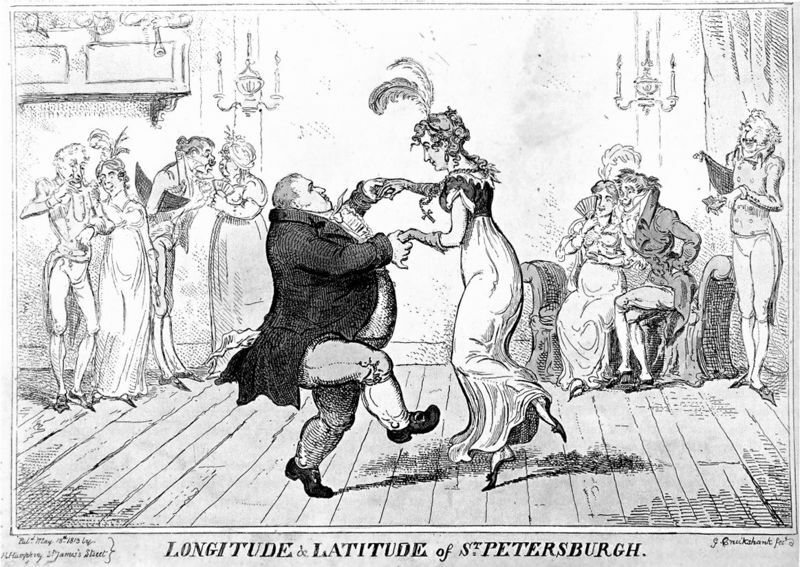 The reel might have been danced at the Meryton Assembly, or at a private dance given by Colonel Foster and his wife, for instance, but it would probably not have been featured at the Netherfield Ball at the same time as a country dance. Emma loved Charles, but he needed money, so when he met a woman of means in 1786, he trundled Emma off to his widowed uncle in Naples, Italy, and thus Emma’s association with Sir William Hamilton began. Sir William was a diplomat and an avid art collector of classical statuary, urns and vases, which filled his villa in Portici overlooking the Bay of Naples. A connoisseur, he deeply appreciated Emma’s beauty, intelligence and special talents, not the least among which were her acting skills, hostessing abilities, and aptitude for learning new languages. 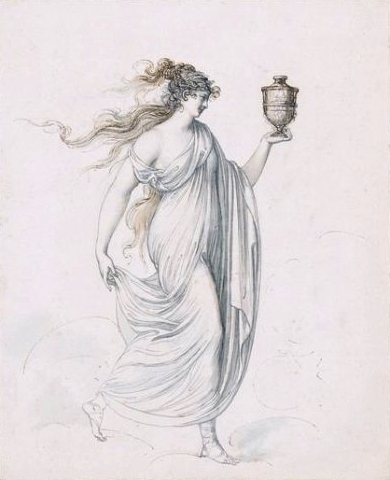 Emma’s stint as Romney’s model had given her experience posing in various classical guises. She’d also had the dubious distinction earlier in her career in London, of having worked as a scantily clad model and dancer – or “Goddess of Health” – at Dr. Graham’s Temple of Health and Hymen, which claimed to cure the reproductive and sexual problems of couples. Emma used her “theatrical” experiences to develop her “Attitudes”. 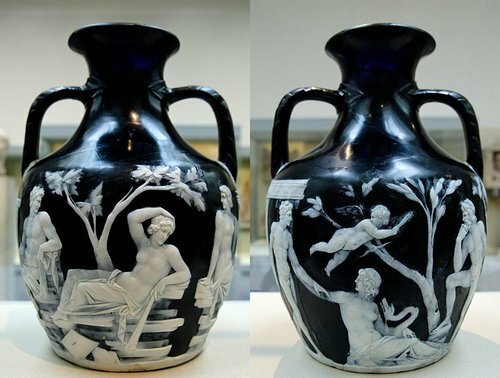 In helping Emma design her act, Sir William, whose knowledge of the imagery on classical vases was authoritative, used ancient Roman pantomimes as a model. The result of their collaboration was a silent performance that combined poses, classical dance and acting with Emma’s special allure. Emma gave her first showing in spring of 1787 to a group of European guests. 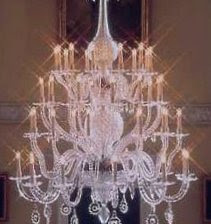 Sir William held the lights and introduced his wife, as he would do for all her theatrics. The poses were an immediate hit. Emma moved through her routine within a tall black box surrounded by a gold picture frame, using only a shawl or urn for a prop. 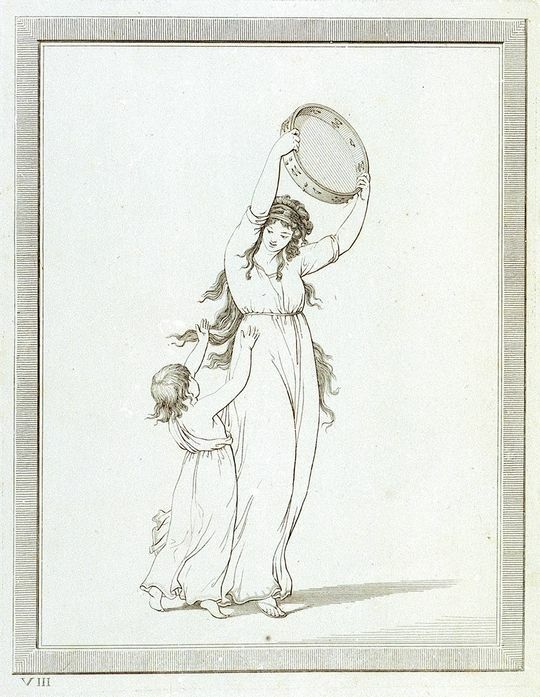 (Although she must have occasionally used a child, as included in these images.) 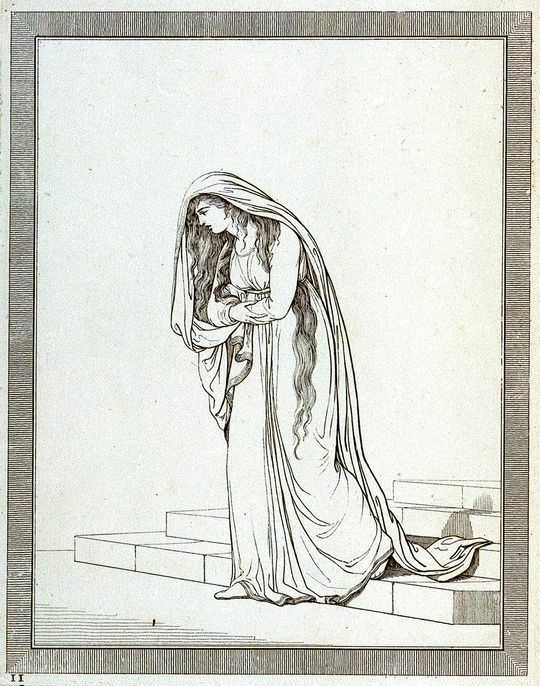 For her “Attitudes”, Emma wore simple white-draped garments that fitted loosely and allowed her long hair to flow free. Her dresses were modeled on those worn by peasant women in the Bay of Naples. Sitting, standing, leaning, or kneeling, or posing as Medea or Cleopatra, she seemed to step right off the antique vases that her husband collected. Emma’s repertoire was large and made up of at least 200 poses. During a performance she moved from one silent tableau to the other with great rapidity, delicacy. and deliberateness in what one writer termed ‘bursts of stillness.’ The private and select audiences would attempt to guess the names of the classical characters and scenes from stage and literature that she pantomimed, and stare in awe at Emma’s ability to transform her moods and the scene in an instant. Out of necessity, earlier viewings remained private, for Sir William and Emma were not married. The Chevalier Hamilton so long resident here as English Ambassador, so long too connoisseur and student of Art and Nature, has found their counterpart and acme with exquisite delight in a lovely girl, English, and some twenty years of age. She is exceedingly beautiful and finely built. She wears a Greek garb becoming her to perfection. She then merely loosens her locks takes a pair of shawls, and effects changes of postures, moods, gestures, mien, and appearance that make one really feel as if one were in some dream. Here is visible complete and bodied forth in movements of surprising variety, all that so many artists have sought in vain to fix and render. Successively standing, kneeling, seated, reclining, grave, sad, sportive, teasing, abandoned, penitent, alluring, threatening, agonised. One follows the other and grows out of it. She knows how to choose and shift the simple folds of her single kerchief for every expression, and to adjust it into a hundred kinds of headgear. Her elderly knight holds the torches for her performance, and is absorbed in his soul’s desire. The black and white Rehberg illustrations featured in this post and commisioned by Sir William, are drawn with simple, graceful and classical lines and freeze a particular “Attitude”. 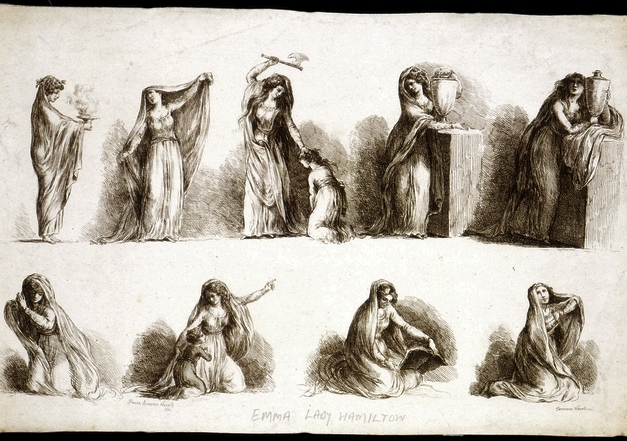 Their idealistic poses are among the few visual reminders that remain of Emma, Lady Hamilton as a performance artist. As the images show, Emma was a voluptuous, well-formed and beautiful woman. Her love for food and drink was no secret, and she would gain a substantial amount of weight over time, until at 47 she was described as being fat. But for a number of magical years, art, performance and beauty combined to create a series of tableaus that are still remembered today for their freshness and originality. 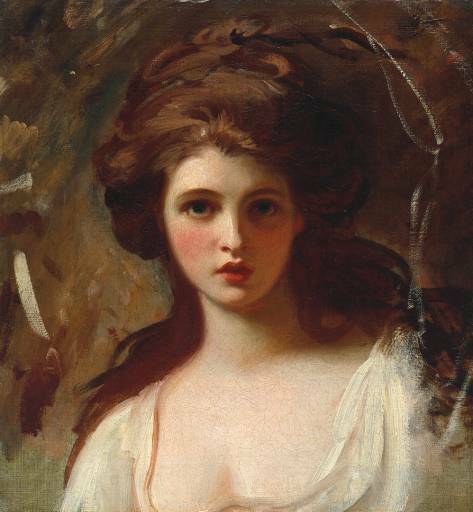 Read about Lady Hamilton’s later years and sad death in this link. Inquiring readers, Several weeks ago, Chris asked me to link to her blog. Looking at it and reading her posts, I asked her to keep me updated on her work, which she describes as a personal journey that she is doing “for the pleasure of pursuing a course of study in a structured manner, which I greatly miss from my time in graduate programs. And to have fun and explore, more deeply, the work of a writer I admire and the time period in which she lived.” Below are her thoughts, and a link to her blog, Embarking on a Course of Study, which I encourage you to visit. I’ve begun by rereading the novels (which has been both a joy and a frustration at times, and I’m sorry I waited so long to pick them up again! ), and Austen’s letters. I’m contacting Austen scholars for reading suggestions and to interview them. So far the Chawton Library has been the most helpful. Sadly, JASNA, not so much. I have my first interview with a professor at St. Mary’s College here in Maryland, who is offering a class on Austen that examines the important aspects of the time period in which they were written: poliltics, economy, social codes, etc. I admit the fieldwork so far has been the most fun. I’ve been country dancing (a real thrill, but surprisingly hard to learn and hot/sweaty! ), am working on a silk ribbon embroidery project, and am deciding between hat decorating and archery classes. I have the Jane Austen Cookbook, as well, and plan on cooking one or two items for this year’s Thanksgiving dinner. I’ve promised my family not to make pigeon, which I admit I was not sorry to give up. The reading list is growing and my goal is to alternate the serious with the silly. So – Mrs. Richardson then Sir Walter Scott, and on like that. I hope to attend the festival in Bath next fall, so will probably need to find a seamstress to make me something fabulous or brave the process myself. Let’s see how well I do with the silk ribbon embroidery first! This is not a project in the vein of a PhD dissertation or an intellectual discussion, though I welcome ideas, comments, and suggestions of all kinds. I’m trying to stay as true to Marianne as I can, but also see where this path leads me, personally. You just never know where we’ll end up! My latest post is on Elinor vs. Marianne. Who would you rather have as a friend? Who are you most like? Would love to hear from you. Jane Austen Sequels, written by Jane Odiwe, has recently been featuring a series of posts on Regency Brighton, including Brighton Encampments, Donkey Riding and Sea Bathing in Brighton, Stopping for Refreshment (on a coach from London to Brighton), and Brighton Entertainments. Jane also paints lovely watercolors and sells her images, cards, and books, such as her recently published Lydia Bennet’s Journal, on Austen Effusions. 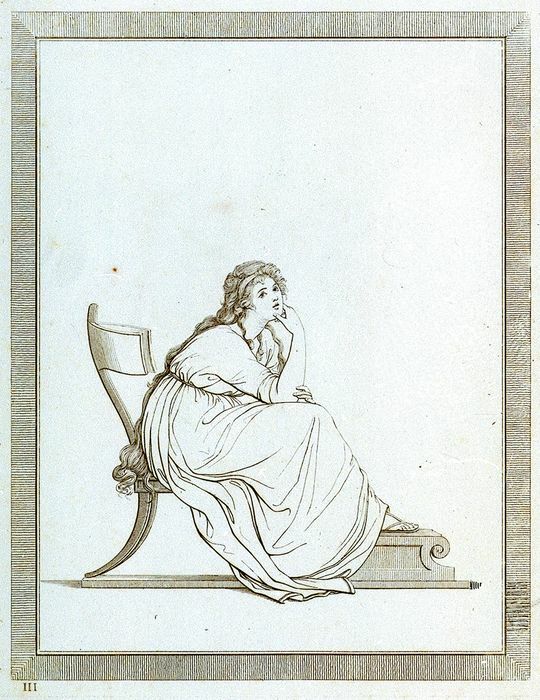 Jane has begun a third blog, which will discuss all things Austen and the Regency world. I become quite dizzy when I think of all her activities! 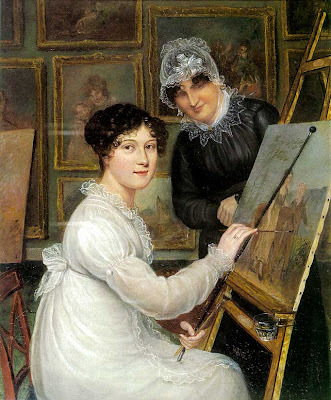 Michelle Ann Young from Regency Ramble has just completed a series of posts on Bath. Michelle Ann frequently describes the flora and fauna of the era, and fashions of the season. She is also promoting her most recent novel, No Regrets. Visit Jane Austen Addict.com to read Laurie Viera Rigler’s posts about PBS Masterpiece Classic’s The Complete Jane Austen series. Laurie, author of The Confessions of a Jane Austen Addict, described a JASNA ball she attended in 2004. 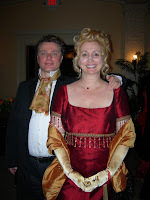 This photo shows her with her own Mr. Darcy, and looking beautiful in her red regency gown. Such fun! Also, don’t miss her posts about Mansfield Park and Pride and Prejudice. In addition, she oversees a forum on her website, and is writing a sequel to her best-selling novel. My, my, Laurie, you have been busy! Many country towns had a monthly ball throughout the winter, in some of which the same apartment served for dancing and tea-room. Dinner parties more frequently ended with an extempore dance on the carpet, to the music of a harpsichord in the house, or a fiddle from the village. This was always supposed to be for the entertainment of the young people, but many, who had little pretension to youth, were very ready to join in it. 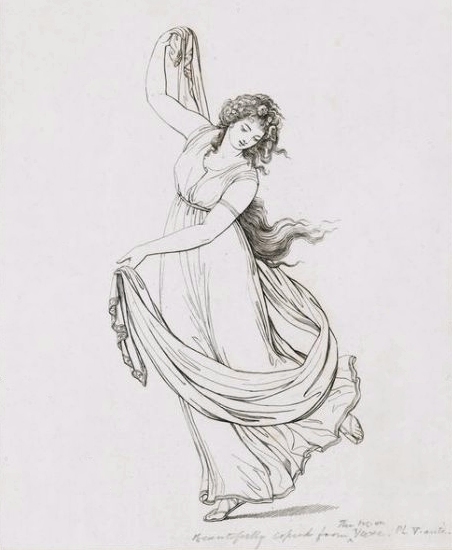 There can be no doubt that Jane herself enjoyed dancing, for she attributes this taste to her favourite heroines; in most of her works, a ball or a private dance is mentioned, and made of importance. Also click on this link to learn about the dances in Becoming Jane. The post is quite thorough and detailed. 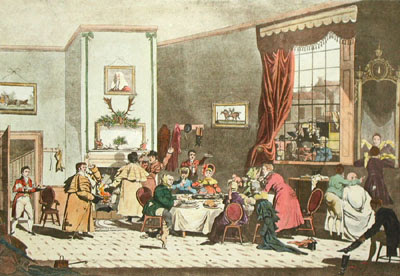 A new Assembly Room and Hotel in the Mall (now the Clifton Club) was opened in 1811. This “spacious and elegant” building contained “a noble reception saloon and tea room, with convenient lobbies, a billiard room etc” and “every accommodation for both families and individuals, even to sets of apartments/drawing rooms, a coffee room, a shop for pastry and confectionery, with an adjoining room for soups, fruits and ices; hot, cold and vapour baths”. In all, the hotel had 70 bedrooms and 20 sitting rooms. (For the fascinating story of its architect see History – Clifton’s Famous and Infamous No. 1 on this website.) The man behind the development was John Lewis Auriol, a wealthy Huguenot, and it is his coat of arms that appears on the pediment. 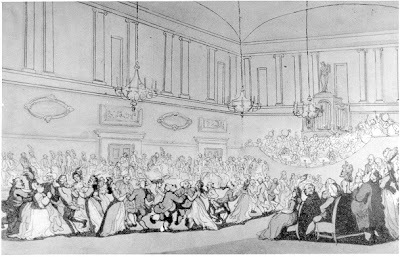 The Assembly Rooms with its ballroom soon became the focal point for social life of Clifton society. 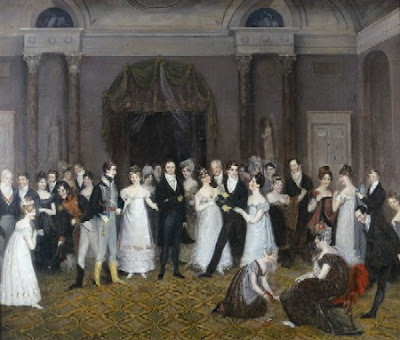 Local artist Rolinda Sharples has captured for all time the atmosphere of a ball in the Rooms in about 1820.